In this study, Fibonacci sequence was defined over an arbitrary ring and its some properties are investigated. The terms of this sequence are derivated by Tridiagonal determinant of the matrix. It was shown that this sequence is periodic and their period is obtained. It was shown that the sequence obtained by reducing modulo coefficient and exponent of each Fibonacci sequence in arbitrary rings is periodic. It was seen that order of cyclic group generated with matrix is equal to the period of this sequence where are arbitrary elements of the ring. Also, the period of this sequence is compared with Wall number of Fibonacci sequence and it was shown that this period always was an even number. 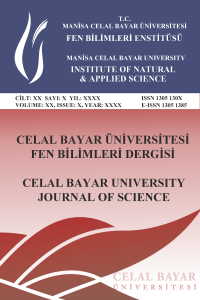 Taşyurdu, Y.; Gültekin, İ., The Period of Fibonacci Sequences Over The Finite Field of Order p^2, New Trends in Mathematical Sciences. 2016; 4, 248-255.